We don’t eat mutton that often. This is a very simple dish. 1. 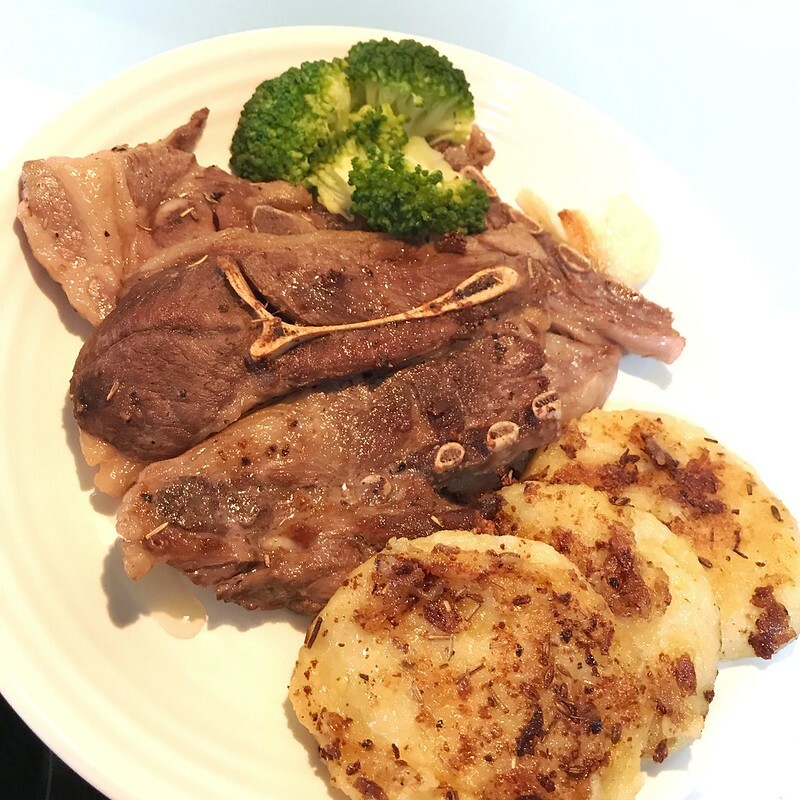 Sprinkle salt and pepper over lamb chop on both side. Rub it with finger to let flavor come in. 2. Peel 2 medium potatoes. Cut into cubes. Steam or boil them till cooked. Mash them in a bowl. Season with a little salt and pepper. 3. Heat a pan. Add in oil. 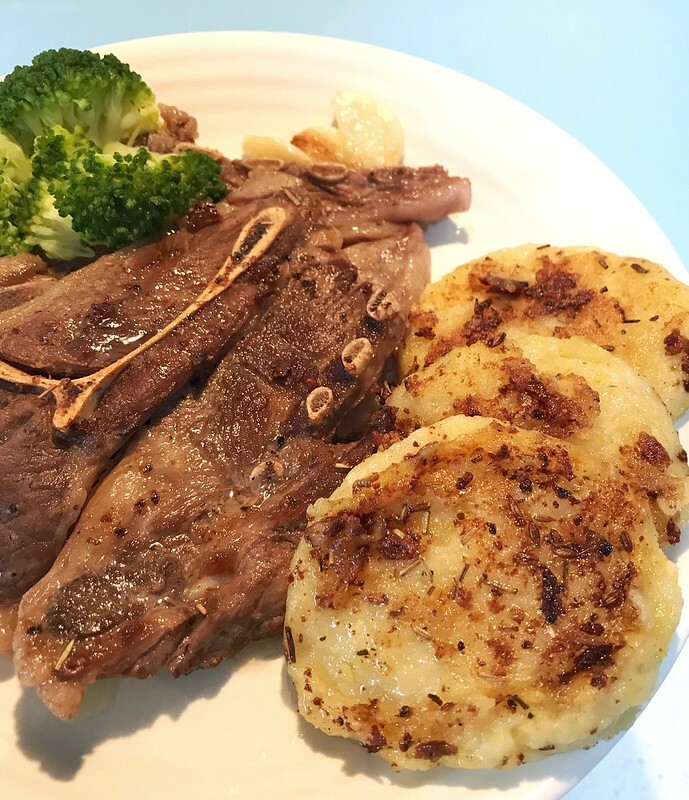 When pan is hot, put lamb chop in. Don’t move it. Sear it for 4-5 mins. 4. Flip the chop over. Also add in 2 cloves of garlic, rosemary and cumin seed. Use a spoon to scoop oil and pour over the chop. Fry for another 4-5 mins. Put chop in a plate and rest for a while. 5. Add 3 tablespoon flour into mashed potato. Mix well and scoop a spoonful mashed potato and form it into a ball shape. Flatten a bit. Fry in the same pan till both sides turn golden brown. Very simple and quick and yum dish.